In case you’re interested, the title of this post is a classic bizarre line from what is now a classic comedy movie. Once upon a time in a life far, far away I saw that absurdly funny comedy, The Jerk, several times. So many times that I won’t say. In fact, I’m fairly sure that I have viewed The Jerk more than any other movie, including my favorites, Lawrence of Arabia, Groundhog Day & Lord of the Rings. 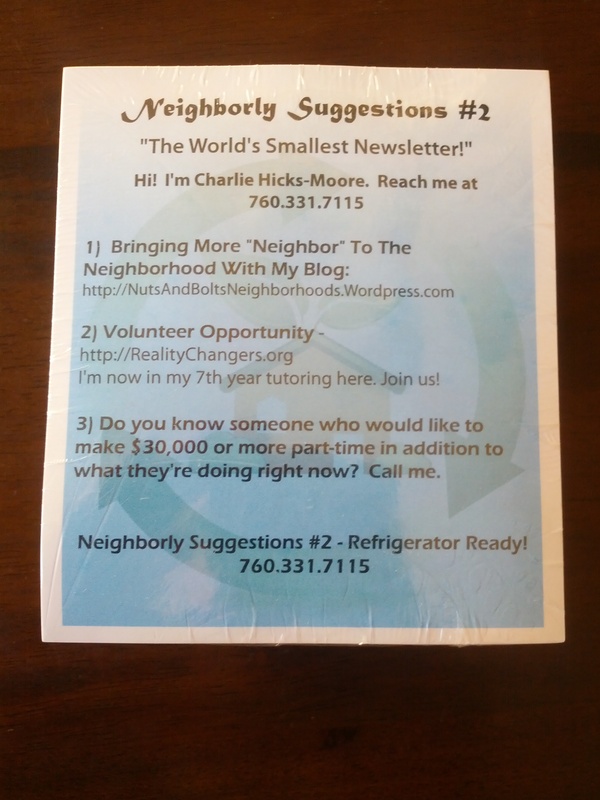 Issue #2 of Neighborly Suggestions – The World’s Smallest Newsletter has arrived! I finally picked up my package at Aloha Printing late yesterday afternoon. If you live in my neighborhood I’ll be knocking on your door soon. Literally. Take a look! Costco has a great deal. 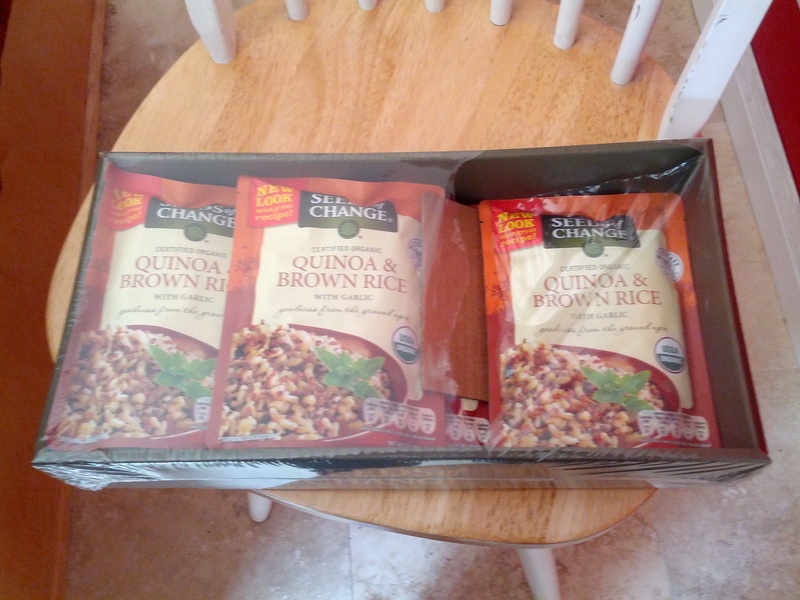 Today I tried their Seeds of Change brand Quinoa & Brown Rice and I loved it. I added some pistachios, but next time I’ll try it all by itself. Six packages for $10.99 and it is yummy. Each package is 480 calories which is two servings. Or eat the whole thing because 480 calories is reasonable for one meal. So the price per package is $1.83. And it’s organic! Quality at a great price. And, no, this isn’t an advertisement. I just want to let you know about some great deals every so often. Quinoa & Brown Rice from Costco is officially Charlie-approved! One of the neat things about blogging is that almost inevitably you come into contact with other bloggers because you notice their blog or vice-versa. People who like to write are usually people who enjoy conversation as well. [ that’s the name of this blog, if you’re counting 😉 ] and who “liked” a post or two. Katie Q. Anderson is a real estate agent and a mom in addition to being the blogger behind KatieQUncommonSense.com. We met today at a Starbucks in Rancho Bernardo and got to know each other. Besides simply talking with people, I enjoy networking. I’ve been pretty good at it since at least the late ’80s and I have learned highly effective and focused methods starting in 2000. So I’ve met a lot of people over the years in order to mutually benefit our respective business ventures, enterprises, projects or goals. With all this networking experience under my belt I can honestly say that Katie is one of the most thoughtful and organized people I have met. I’m not going to go on and on with how pleasant she is to deal with or how I felt like she was really listening to me or being patient with my less than linear thought processes. She’s professional and gets so much done that if I stop to think about it I’ll feel like a slacker. Katie is one of those nice, professional, highly skilled and highly effective people that Jim Rohn talked about when he was alive. She has inspired me to share the following quote for the second time in a month. Wow! What a clever short cut. Take a shortcut by calling Katie or check out her blog to meet the decidedly Uncommon Katie (Q.) Anderson today! Over a year ago I found out about a website called Go Red For Women. They’re interested in improving women’s heart health and more. Take a look by following the link above or the one below. The “About” portion below came straight from the site. Who do YOU want to share this information with? Send them this blog post! There’s a lot of talk about inequality between men and women, but one area in particular where women are leading in record numbers: heart disease. It’s the No. 1 killer of women and is more deadly than all forms of cancer. But there’s a leadership role just waiting for women like you to pounce on: Leading the charge to end this deadly foe once and for all. In fact, women like Rachel D’Souza-Siebert have already decided they’re not going to take this lying down. “As women,” says Rachel, “we need to learn where to draw the line so we can take care of ourselves.” Rachel isn’t the only one. She’s one of thousands of women who’ve decided to Go Red, because enough is enough. Cheryl Holmes thought pregnancy was the reason for her extreme sweating and difficulties breathing. Even Cheryl’s doctor was convinced pregnancy was the source of her symptoms. When they didn’t subside after the birth of her child, she discovered these symptoms were a sign of heart disease. Unfortunately, Cheryl’s story isn’t uncommon. Many women are either unaware of the symptoms to pay attention to or may attribute their symptoms as due to other causes. For instance, that pain in your jaw, neck or back? Don’t assume it‘s just from the gym or a little extra stress. They could be symptoms of a heart attack . Today I visited some garage sales to see who else is interested in the community garage sale in late September or early October. 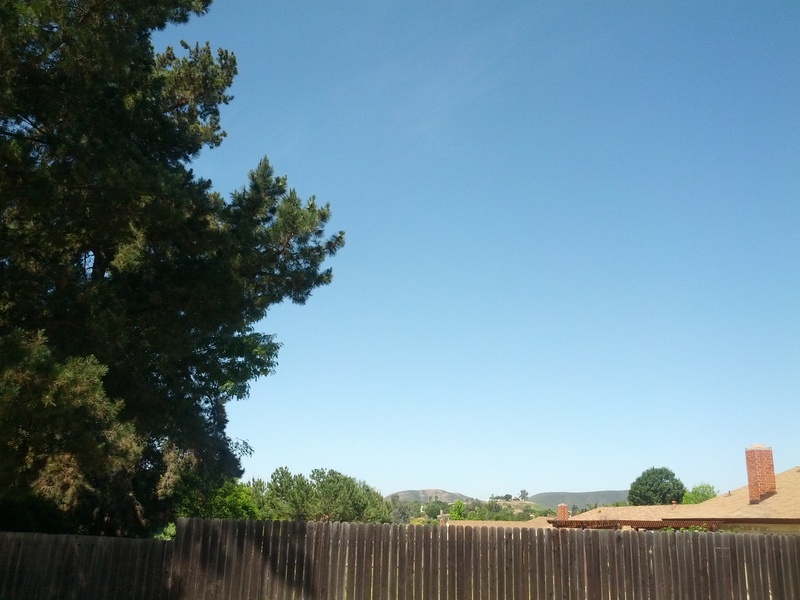 I stayed within these boundaries – north of 78, west of Nordahl, south of El Norte Parkway, southeast(?) of Borden & east of Mulberry, also including the houses down Falcon which is west of Mulberry and branches off from Mission Road. I also included houses that are just on the other side of the street boundary, so for example I spoke with Sheldon and his wife who live ON El Norte Parkway, but who are technically north of the street. I met some interesting people and found out that Vallecitos is having a community garage sale on May 18th. I had no idea. Two women told me about it and one of them, Isabel, gave me some pencils for my friend, Mary Carrillo of Point Loma, to take to Belize for the children of the village she will visit in September. Thanks, Isabel! Mary visits Belize once or twice a year to be of service to the women and children of the village. I’ll post more about Mary Carrillo another time and include the name of the place. While I was out I took photos of some green stuff I like and then I found a woman, Alice Olsen, who is the office manager of three[!] sites of Community Catalysts of California. I had never heard of them before, but they have been doing good work for over 30 years! The paragraphs below are from their website. Community Catalysts of California provides services and advocacy resulting in employment, independent living and equality for individuals with disabilities. We have successfully provided services for thirty years with the fundamental goal of helping people with disabilities achieve a higher quality of life. Veterans Community Services, a division of Community Catalysts of California, supports Veteran’s and their families to gain increased independence and productivity as responsible members of their community. VCS provides coordinated case management services to obtain housing, access benefits, secure employment or advance education in the San Diego and Imperial County areas. Our organization’s prevailing principle is strengthening our community through engagement and daily manifestation of our work in your neighborhood, work, and social environment. We support the belief that people with special needs are an integral part of community and encourage you to support our services in a manner that matches your strengths and resources. Our community partners are vital to our continued success. Community Catalysts of California is a not for profit 501(c)(3), charitable organization. Alice Olsen was having a garage sale to benefit CCC. She had her neighbor, Cheryl, and two daughters and a couple grandkids helping out. 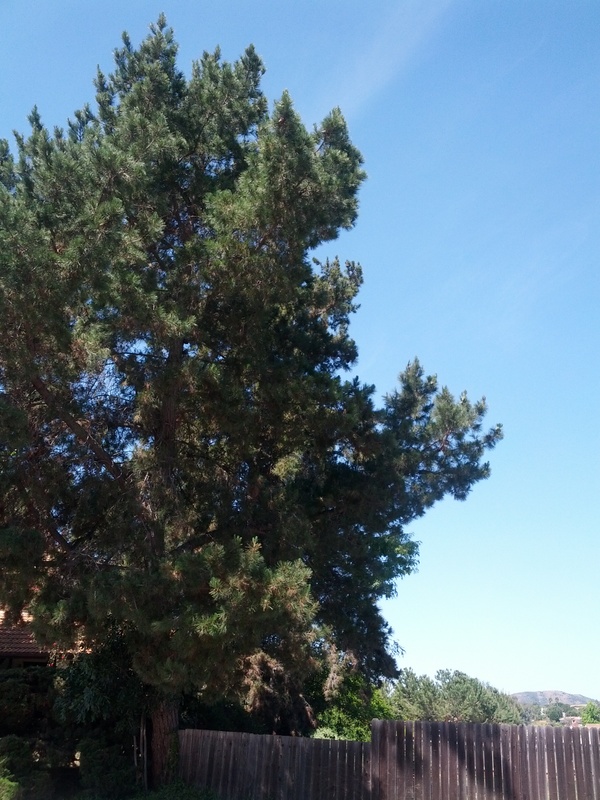 Below is a photo of their sign and some photos of trees I saw when I was out and about. 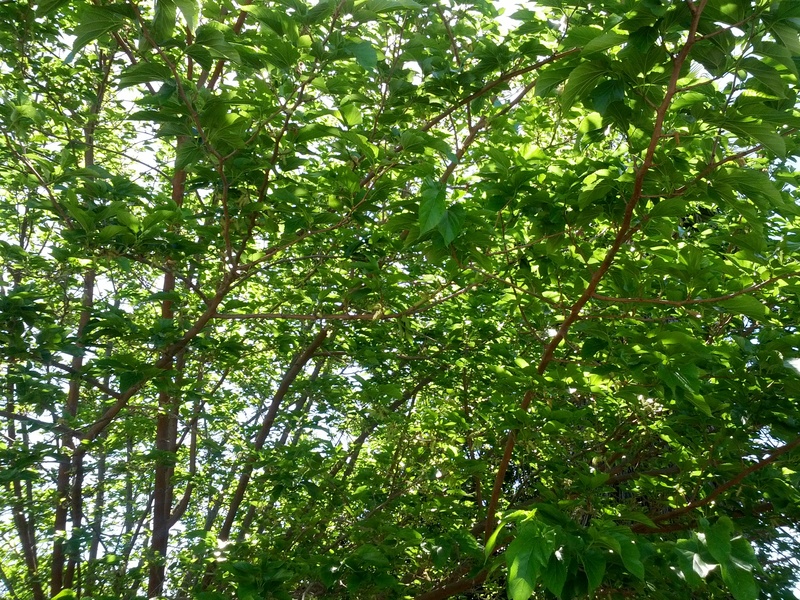 I like trees and I like shade. 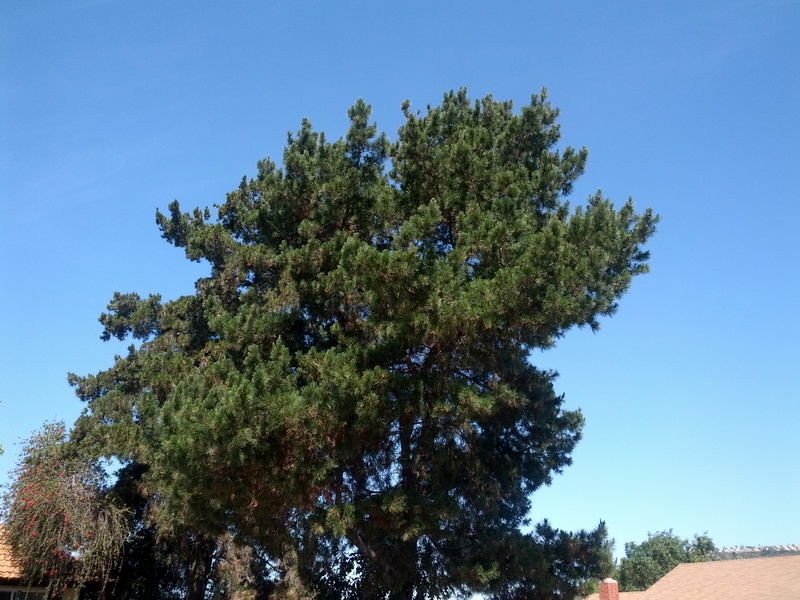 No matter how you feel about trees, my guess is you like the shade they provide on a hot day. 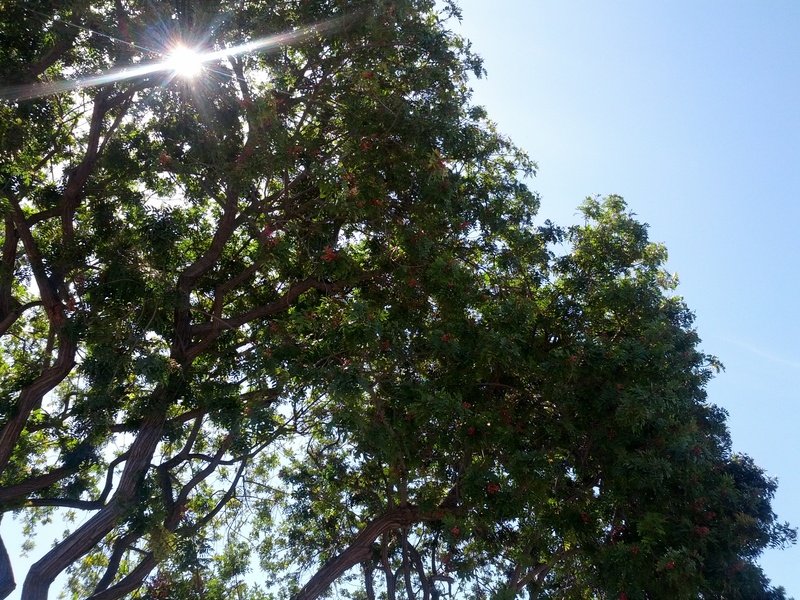 Can you guess where I took these photos?